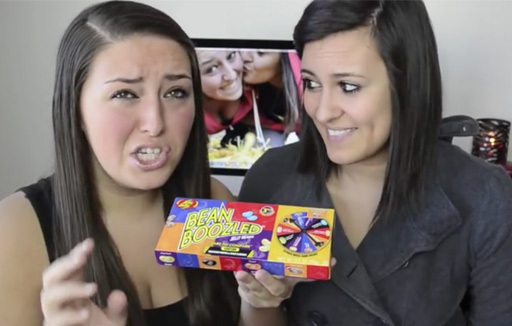 BeanBoozled includes 16 flavors of jelly beans: 8 weird and wild flavors that look identical to 8 classic and delicious flavors. Think you can tell the difference between tasty Tuitti Fruiti and pungent Stinky Socks? What about delicious Chocolate Pudding and not-so-delicious Canned Dog Food? Two types of products are available. Lift the lid, lower the lid and like magic a bean appears! Will it be toothpaste or sweet Berry Blue? 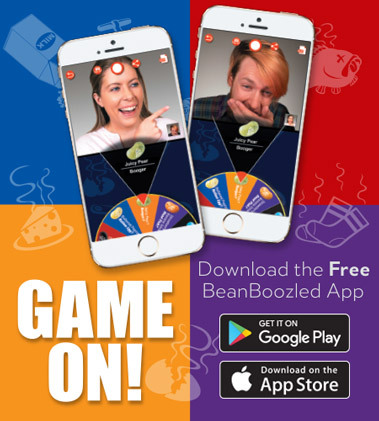 It makes a great game! It's a box of candy and game all in one! 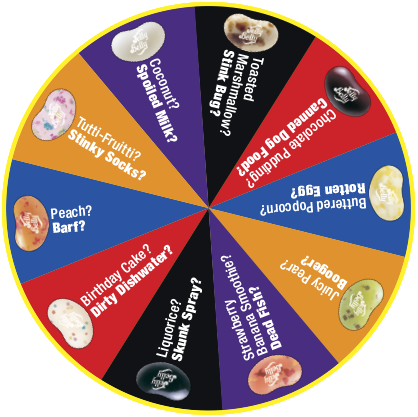 Use the spin wheel to decide what bean you eat. Will it be delicious lime or surprise lawn clippings?